Nissan Motor Co. Ltd. commenced its operations as an automobile manufacturer in Yokohama City in 1933. The firm currently manufactures vehicles in 20 countries and offers its products and services in over 160 countries. Why is it Important to Insure Your Nissan Car? A car insurance protects you from any liabilities that may arise due to a mishap. Also, as per the Motor Vehicles Act of India, it is mandatory for every car plying on the roads to be insured with at least a third-party liability cover. Bharti AXA General Insurance Co. Ltd.
*Please note that the above prices are subject to change with respect to the city you purchase the vehicle from. A comprehensive car insurance will cover third-party liabilities as well as own damage liabilities post mishap. A third-party car insurance will cover only third-party liabilities post a mishap. You can avail a car insurance or renew an existing one online via insurer’s official website or third-party insurance website. You can renew your existing car insurance or buy a new one by visiting the nearest branch office of the insurer or meet with an insurance agent. Loss/damage due to hurricanes, theft, vandalism, etc. An Insurance certificate is the insurance policy document that the insurer issues to the insured. It contains all the relevant insurance policy details. 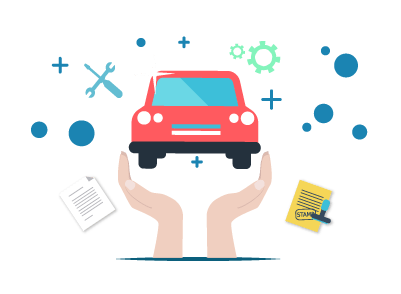 Can I transfer my policy to the buyer of my car? Yes, you can transfer your insurance policy to the person buying your car. IDV or Insured Declared Value is the market price of your car at any given point in time. Will I get a duplicate copy of the insurance document policy if I lose the original one? Yes, in case you lose your original insurance policy document, you can visit the nearest branch office of the insurer and request for a duplicate copy. Does my geographical location affect my car insurance policy premium? Yes, your geographical location affects your car insurance policy premium. Nissan’s latest launch, Kicks SUV, has become the company’s top selling car for the month of January 2019. For this month, sale of Nissan Kicks totaled 1,370 units. This vehicle rivals Hyundai Creta and Renault Duster in the compact SUV segment. For the month of January, Nissan has managed to sell a total of 1,500 units and it is one of the lowest selling manufacturers in India. Nissan Kicks is available in both petrol and diesel variants. The petrol version features a 1.5 litre 4-cylinder engine that delivers an output of 108 Bhp. The disel variant, on the other hand, features a 1.5 litre K9K turbocharged engine that delivers a 108 Bhp output. The company’s subsidiary Datsun has managed to sell about 1,700 units in India through the sale of its RediGO, GO, and GO+ models. Considering the Datsun sub-brand, Nissan’s total tally in January has crossed 3,000 units. Nissan’s performance in India is heavily reliant on exports over the past few years. The company’s top export model is Micra. However, the export version of Nissan Micra is a lot different from the one that was sold India.